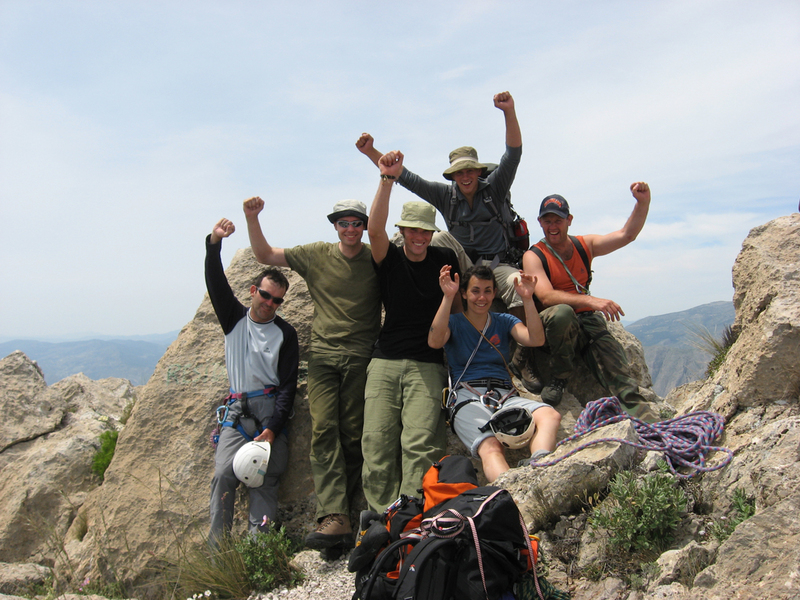 Climbing in Spain – The Bivouac Course.  This is a course designed for the already experienced climber, or those having already completed a week’s course with Compass West in Cornwall or Spain. 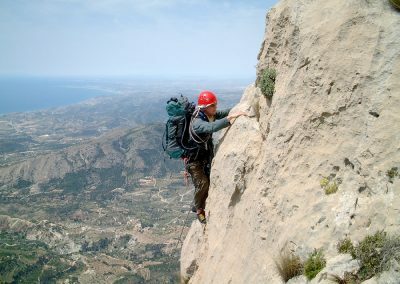 The main aim of the course is to complete a two day ascent of the Integral or “Bivvy Route” on the Puig Campana above Finestrat. 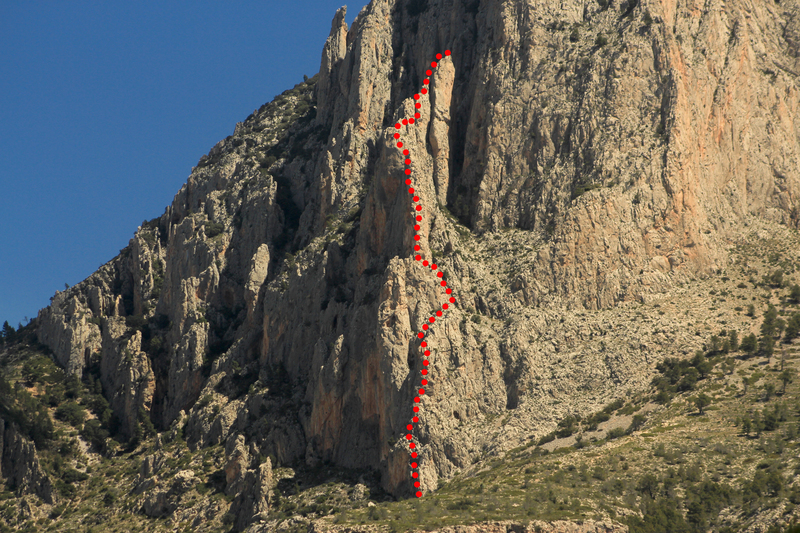 The route is 1650m of climbing and a total of 32 pitches, and up to grade 5 (3 pitches only). 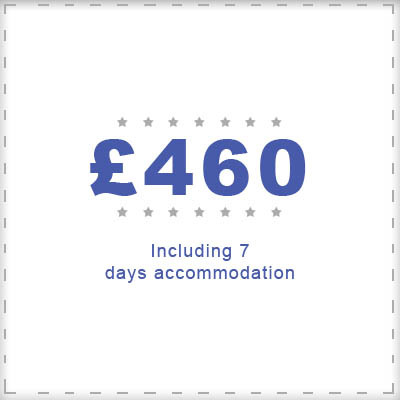 The bivvy ledge is large enough to be un-roped and has ample room for a comfortable night under the stars. 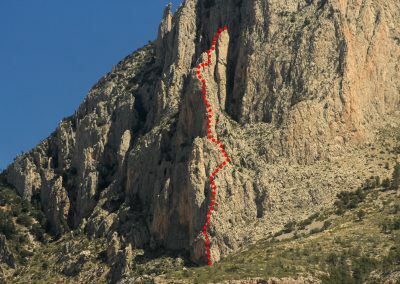 This climb has often been described as “an Alpine route, but without the snow and ice”, and this seems a fair description of a truly amazing route of high quality. This course starts off with our usual ‘getting to know what you can do’ sessions quickly moving onto preparing you for the climb. 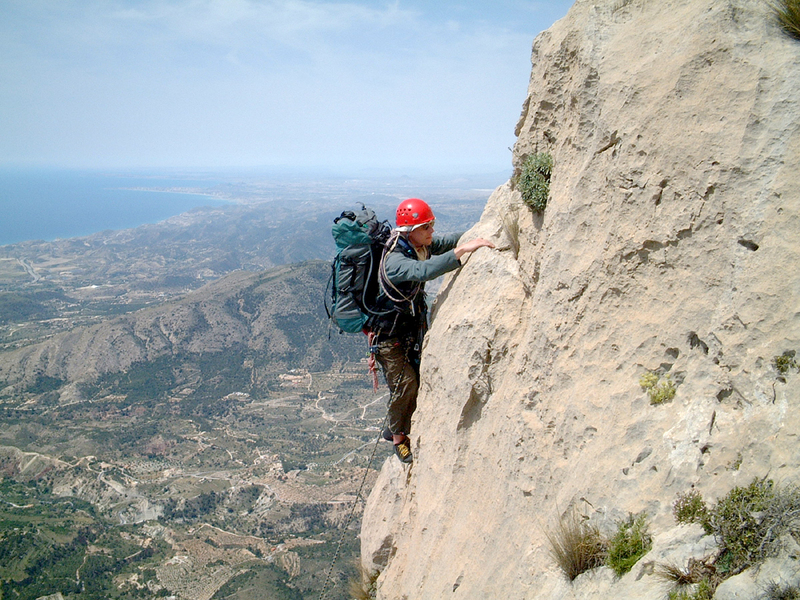 Climbing with a loaded rucksack, placing and removal of gear, ledge organising, rope management and conservation of energy by good movement over rock. 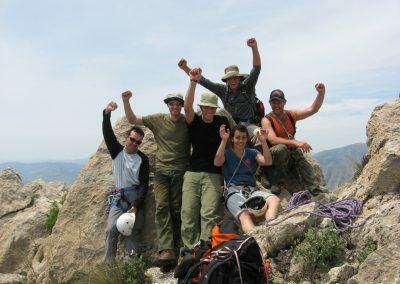 The course is a very challenging and worthwhile experience where all who have attended it have gained considerably in their understanding of long mountain rock routes. “The best mountain route I’ve ever done” Bill Birch, climber & alpinist, and our “guest” for the climb.